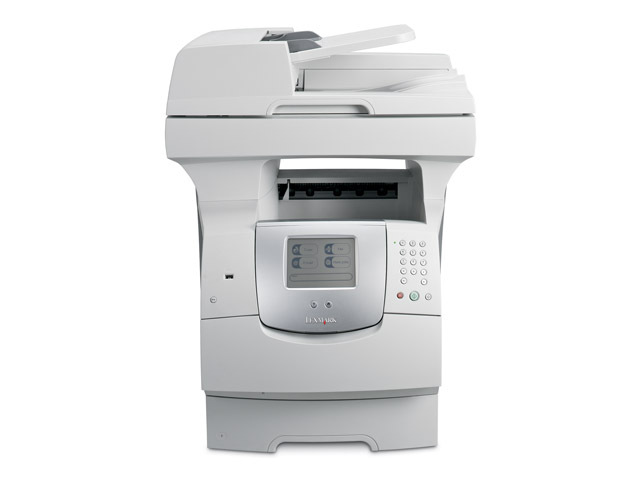 The Lexmark X642e mono MFP offers you more features than you’d ever expect from such an affordable device, including an intuitive black-and-white touch-screen. Because it integrates seamlessly with your company directory via LDAP, the Lexmark X642e remembers thousands of email addresses so you don't have to. Just place your originals in the 50-page feeder, touch the screen, select your addresses and go. It's that easy! No complicated buttons, icons or messages to interpret. The Lexmark X642e is equipped with an intuitive and adjustable black-and-white touch screen, which simplifies operation for the end-user and helps minimises downtime. A real first for an MFP in this price range!